Well hello to you my reader chums! I've realised since I've had a blog called dellalovesnutella, that I've never done a post related to Nutella! 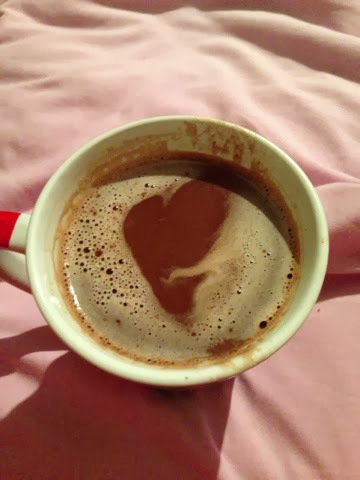 Today, I decided to show you one of my favourite autumnal/winter drinks: Nutella hot chocolate! 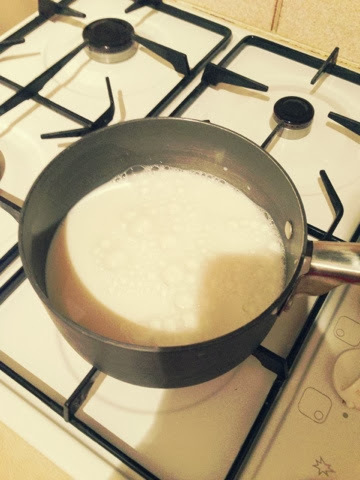 The first step is heating the milk in a pan, for one portion measure out a mug full of milk. Pout that in the pan and heat it on a low/medium heat. 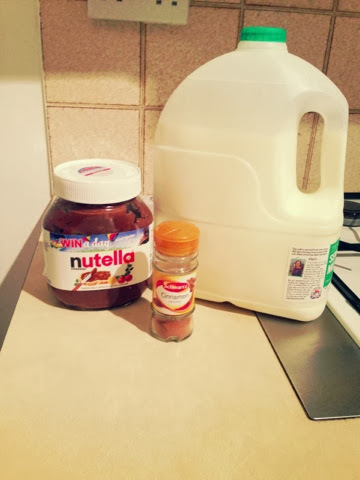 The next step when the milk is fully heated is to add in the Nutella. 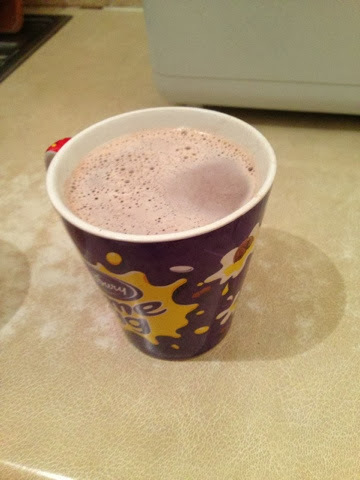 I'd use between two to three large teaspoons of Nutella depending on how rich you would like it and mix it into the milk. 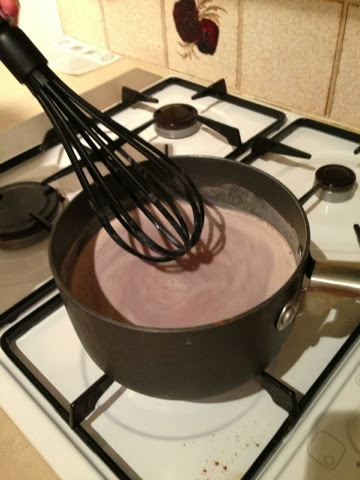 Once mixed in, the colour of the milk should appear a light brown. 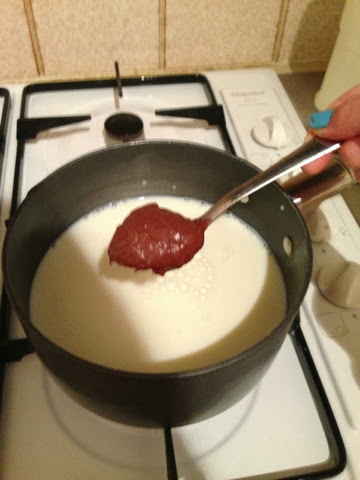 The last step is to add in a pinch of cinnamon which will give it an extra oomph and mix that in. This looks deeeelish! I freaking love Nutella!